TENNIS HU + STAN SMITH CAMPAIGN, PHOTOGRAPHED BY CHRISTIAN MACDONALD. 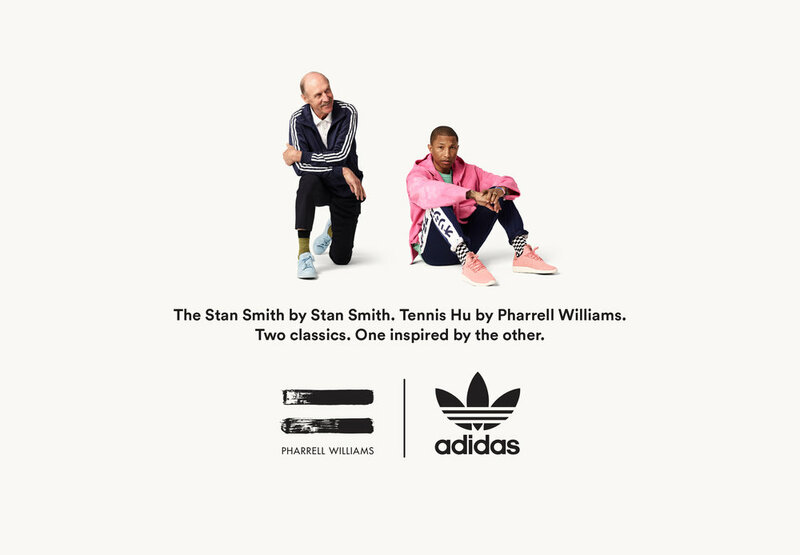 Launch campaign for the Tennis Hu shoe; continuing the theme from the teaser, our two charismatic icons of sport and music are placed directly into the copy. An unlikely pair in conversation with each other, and the product.